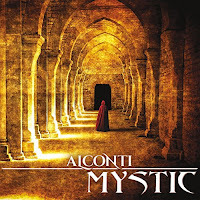 Al Conti is a Grammy-nominated recording artist whose latest album, Mystic, casts a seductive veil of enchantment upon a culturally rich and beautiful landscape. Beautifully packaged with artwork that visually captures the essence of the music just perfectly, the album’s nine outstanding compositions are likewise each accompanied by short stories that serve to further give the listener glimpses into the past. Conti wrote, arranged and performed the compositions, while two tracks (“Pilgrimage” and “Devotion”) were loosely based on traditional music that he arranged and adapted. Composed within a style that could perhaps be described as new age world fusion, the album draws most notably from Mediterranean, Near-Eastern, Persian and Indian cultural influences. A talented team of guest musicians throughout includes Grammy award-winning artist Ricky Kej, who serves as associate producer as well as lends additional programming, keyboards and harmonium. Vanil Veigas likewise provides additional programming, keyboards and santoor. Also joining the lineup is Jeff Pearce on electric guitar, Charlee Brooks on vocals, Pamela Copus (of 2002) on harp, Karthik K. on tabla, Butto on flute, and Jenevieve D’Silva on ghatam, cajon and assorted percussion. 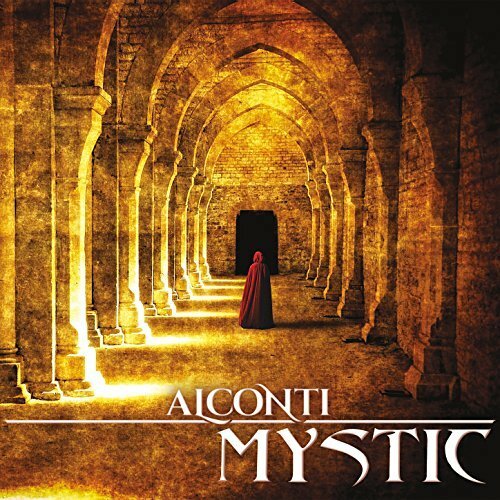 “Mystic” opens the album with the solemn toll of a church bell followed by the reverent intonations of The Oxford Court Monk Choir. A stunningly beautiful introduction, it reminds me somewhat of the opening piece, “The Mystic’s Dream”, from Lorenna McKennitt’s The Mask and Mirror album. Jeff Pearce lends subtle brushes of electric guitar, as the soaring wordless vocals of Charlee Brooks join the monk choir – their voices collectively echoing among the halls of what feels like a vast cathedral hidden in the mountainous mists somewhere. An earthy and sensual rhythm comprised of both Indian and electronic percussion ensues, as the piece is carried along by a gypsy-like melody led by an arrangement of flute and other exotic instruments. “Trance” follows next and is one of my favorite pieces on the album, bringing to mind that of a night caravan trekking across the desert, as brushes of chimes remind me of twinkling stars spread across the sky. This piece is likewise supported by an earthy, sultry rhythm accentuated by Indian tabla drums, and showcases an exquisitely exotic melody comprised of santoor and harmonium. 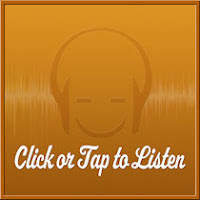 The more contemplative sixth track, “Contemplation”, is another favorite of mine which incorporates a distinctly Celtic flavor, blending ancient western and eastern musical influences to perfection. Showcasing Pamela Copus on harp, she leads the lovely composition with a lulling melody among a luxurious arrangement of instruments that include tabla, santoor and electric guitars. Another personal favorite is the seventh track, “Ritual”, which is dominated by an encompassing rhythm, as it seemingly paints a picture of festive lights and ecstatic dances by the Mediterranean seashore. Wrapping up this magical, mystical journey is the soulfully shining yet soothingly serene “Anima Aeterna”, which concludes with Charlee Brooks singing among of sea of both exotic and orchestral instruments. For more information please visit the artist's website. This album can also be purchased on Amazon, iTunes and Google Play. This review was originally published on Journeyscapes Radio on 01/30/17. 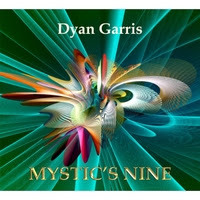 Mystic’s Nine is the thirteenth album from Dyan Garris, an Arizona-based composer whom is also described as a “visionary mystic, voice recognition psychic, and trance channel medium who reads from the Akashic Records”. A classically-trained pianist and violinist who began playing at the age of four, her impressive repertoire of both artistic and healing tools consists of meditative music, as well as spiritual books and oracle decks. Named for the esoterically significant number nine, Mystic's Nine is comprised of eleven compositions spanning forty-three minutes that features both relaxing and rhythmic passages. The album mainly consists of piano and synthesizers throughout, as Dyan is joined by several guest artists on varying tracks, including Joe Bauer on drums, Scott Schaefer on flute, Amber Norgaard and Margo Joy on vocals, Jeff Oster on flugelhorn and trumpet, Will Clipman on percussion, Michael C. Ronstadt on cello, and Peter Sterling on harp. “Mystic’s 9” opens with an uplifting arrangement of piano and synthesizers accompanied by a steady drumbeat courtesy of Joe Bauer, who also plays percussion on two other tracks. Eliciting a warmly positive mood that feels a bit whimsical, the piece affectively brings to mind that of flying a kite in the winds of a sunny day. “Mystic Sea” follows next, a particularly beautiful piece that features Scott Schaefer on flute. Beginning with bubbling currents, gentle flute is woven among a swirling sea of celestial chords, which are accompanied by distant ethereal voices evocative of mythical mermaids and sirens. Easily my favorite piece on the album, I’m reminded somewhat of both Chris Conway and Aeoliah, as it conveys the healing spirit of the ocean and paints stunning images of a peaceful underwater world. Up next is “Muse’s Gift”, one of two lyrical vocal tracks on the album, featuring singer Amber Norgaard and harpist Peter Sterling. Here, Amber delivers an inspirational message about leaving one’s worries behind, as Dyan’s piano accompanies the song’s lead melody throughout. Another favorite, “Mystical”, ensues with the immediately recognizable flugelhorn and trumpet contributions of Jeff Oster, which mesmerizingly soar above a steadily rhythmic current that’s underlined by a pronounced bassline. Conveying a euphoric feeling of travel and flight, it’s easy to imagine a hang-glider soaring above a pristine landscape in the sunset. I’m also particularly fond on the next track, “Mystic Kiss”, which features Will Clipman on percussion. A sparkling, aquatic-like piece in which crystalline bells and synthesized vocals form a gentle melody, it imparts the essence of both romantic as well as universal love. The ninth track, “East on 9th”, is also a notable highlight, once again featuring Joe Bauer on drums. Led by my favorite piano melody on the album, the piece bears a hint of exoticism that conveys an almost gypsy-like feel infused with subtle elements of chill. Closing out the album is “Water for the Soul”, a gently bright yet calming piece led by piano, synthesizer and delicate vocal washes. For more information please visit the artist's website. This album is also available on Amazon, iTunes and CD Baby. This review was originally published on Journeyscapes Radio on 01/28/17. Having life-long experience playing the harmonica, Arizona-based musician Art Patience originally hails from a background in blues music. His debut album released on Heart Dance Records, titled The Recognition, not only offers something quite different from anything he’s recorded before, it’s also one of the most uniquely enchanting recordings I’ve heard in recent memory. Comprised of nine beautifully spellbinding compositions, Art imparts a soulful sultriness via his harmonica-playing among dreamily ambient soundscapes, which have been crafted by producer John Herrera, who also arranged, mixed and mastered the album. Art likewise plays acoustic guitar on several pieces, while guitarist Darin Mahoney also lends his talents on two compositions, including the fourth track, “Flight of the Butterfly”, and the seventh track, “Safe Journeys”. Upon first glance, the harmonica might seem like a rather unusual instrument to combine with ambient music, but this rare musical synthesis clearly works to perfection here. 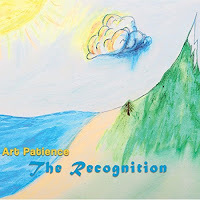 “Compassion” opens the album with subtle acoustic guitar, as Art’s haunting and reverberating harmonica glides upon an enveloping soundscape of synthesizers that highlight many spacious notes and expansive chords. Seemingly lonesome sounding, I have always found the harmonica to be an instrument of solitude, and that essence certainly comes through on every one of these lovely compositions. The next track, “The Wishing Well”, is one of my favorite pieces on the album, initially beginning with the tranquil sound of the ocean’s tides rolling in and out with lone harmonica in the distance. A droning and resonating atmosphere enters the space, and I’m reminded of being on a beach as a darkening sky encroaches. A billowing, muffled rhythm soon follows at a gently parching pace, seemingly transforming the scenery into an overcast afternoon, in what feels like a confluence of nature’s power and serenity. Likewise, several other compositions feature audio-visually stirring environmental and nature sounds, including that of thunderstorms, running water and birds in the wild, as well as many ethereal textures and chimes sprinkled throughout the musical landscapes. These elements are especially exemplified on the aptly titled sixth track, “Spirit of the Woods”, which is comprised exclusively of lush environmental sounds and improvised harmonica intonations. Seemingly evocative of nature’s purest elements, it’s easy to imagine a man alone with nature in search of peace and solitude. Perfectly concluding the album is the gorgeous title track, “The Recognition”, a characteristically more spacey and nocturnal-sounding ambient piece that additionally features deeply hued and reverberating piano notes, as Art’s harmonica seemingly echoes throughout a vast terrain beneath a star-studded sky. For more information please visit the artist's website. This album can also be purchased at Bandcamp and Amazon. This review originally appeared on Journeyscapes Radio on 01/02/17. Brazilian-born composer and vocalist, Anaya, has previously recorded several albums of new age music. 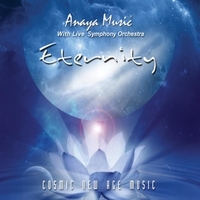 Having long dreamed of recording alongside a live symphony orchestra, her dream eventually came to fruition on her latest album, titled Eternity, where she is joined by the lovely arrangements of the Prague Live Symphony Orchestra. Comprised of seven compositions spanning nearly thirty-three minutes, all but two pieces (“For Love” and “Once in Time”) were co-composed and arranged with Steve Salani. “Dharma” opens the album with a majestic orchestral arrangement of strings, woodwinds and brass instruments. Possessing a distinctively cinematic quality, the piece immediately brings to mind that of a fairytale movie. “New Skies” ensues with the sound of running water, perhaps from a stream or river, and is easily my favorite composition herein. Bearing subtle resemblances to the music of both Deuter and Kitaro, the piece is led by a stringed-instrument with a melody that possesses an East Asian flavor. Hazy piano droplets are interspersed among ethereal synthesized chords like balmy mists rising up from a spring, bringing images to mind of a beautifully serene Japanese garden. “Cosmos” follows next with a symphonic arrangement that unfolds in a procession-like manner, where it’s accompanied by the sound of a light snare, along with bells, chimes and tribal-esque percussion that builds towards the end. The next piece, “For Love”, is reminiscent of a romantic novel or period film, with its tenderly warm and sentimental quality. It is followed by the more fantasy-like “Love’s River”, which is introduced by a buoyant keyboard melody. A dreamily waltzing piece that dances and sways throughout, it mimics the motion of sailing along a river, while also bringing to mind that of watching a decades-old stage performance. Named for the living earth, “Gaia” follows with a blend of gently symphonic and environmental nature sounds that paint images of a paradisal landscape. Wrapping up the album is “Once in Time”, a sweepingly cinematic composition led by a full orchestra of string and brass instruments that eventually swell to a close. For more information please visit the artist's website. This album can also be purchased at Amazon, iTunes and CD Baby. This review was originally published on Journeyscapes Radio on 01/17/17.